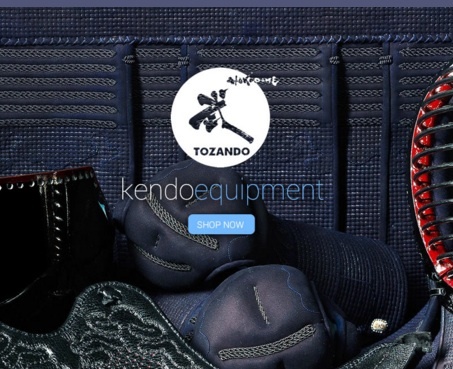 There are a lot more sellers of Kendo equipment online than there used to be! The Equipment Buying Guide on this site is by far our most visited page, with more than four times as many visits as the next popular page (the "About & Contact" page). While most of the info there is still relevant I thought I'd write a quick overview of what's been happening recently and how that affects us. 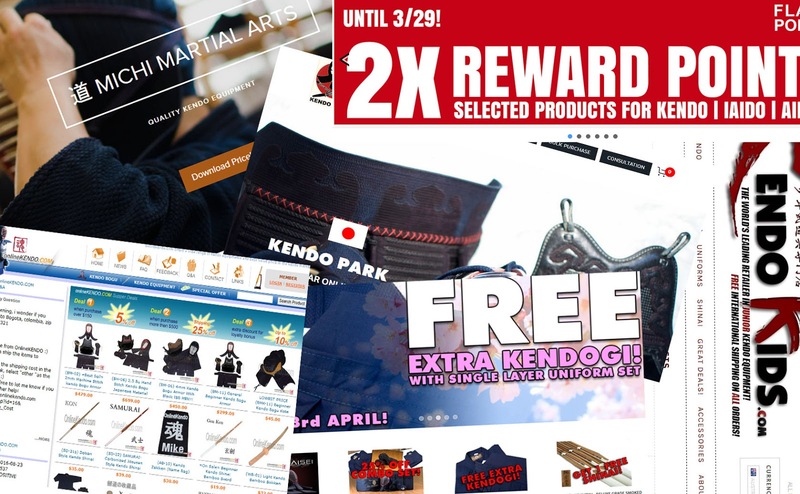 If memory serves, Mike Ma's onlinekendo.com was the first true internet shopping site for Kendo equipment. Since starting it out of his flat in Carlton while a still a student at Melbourne Uni, Mike moved the business to China around 10 years ago, from where he was able to access the rapidly growing Chinese Kendo equipment manufacturing sector. Initially set up to supply the large Japanese companies, China now has its own substantial Kendo community who need equipment. Alibaba and Taobao regularly sell equipment at startlingly low prices. It's mostly pretty good but you tend to need Chinese language skills to navigate. Onlinekendo is still in business, and their site hasn't changed since it was first set up. A good source of cheap shinai, hakama and kendogi, but their bogu is generally very stiff and uncomfortable compared to what's available now. Probably the biggest change in the last two years has been the effect of the end of the mining boom on the Aussie dollar. There was a time where the Aussie was 1:1 with the greenback. Not any more. Currently (according to xe.com) 1 AUD buys you 76 US cents. And that's the live market rate. If you actually bought something, Paypal or your CC company would likely offer more like 71 cents. The same goes for the Japanese yen. When I went to Japan in 2014 I got 93 yen to the dollar. In 2016 it was 78. So in terms of buying Kendo equipment, everything went up in price about 25%! That's still the case now. Free shipping has actually been a thing since Andy started Miyako. He did his homework and realised the importance of people not getting a shock at the checkout. Now it has become the standard. Free shipping can make it hard to compare one site to the next, but it certainly helps encourage purchases! One of the downsides is that free shipping sites will only sell you sets of things like shinai in three packs. But then it can be a shock to see at Tozando for instance (who offer free shipping only over a certain price), the price of a shinai or a kendogi double when you get to checkout. These guys have just started and it remains to be seen how they go, but their idea is great. A Japanese guy and a Malaysian guy, both based in Japan, have gained access to a wide range of products from six local Japanese manufacturers and two artisan bogu makers. What they are offering is a range of choices at each level of the market: budget, mid-range and premium. It's a bit like a supermarket, you can choose from a range of brands. They also offer feedback and consultation-- if there's something you need and you can't see it on their site, let them know and they'll try to find it. One of the interesting things about their site is that they show prices as they come from each vendor. So for similar equipment in a similar category you can get some big differences in price depending who's made them. I'm definitely watching this space though. There's been a lot of talk about what Amazon is going to do to Australian retailing when they arrive. Time will tell. But they are HUGE in Japan. A friend of mine who lives in Kobe says that when she gets lazy she orders groceries online from Amazon. She's on first-name basis with her delivery guy. Whether that happens here or not, you can already buy from a lot of Japanese shops and get stuff shipped to Aus. By "Japanese shops" I mean bricks-and-mortar, mom-and-pop, high-street kind of physical shops. What a world we live in. Rakuten is kind of the Japanese Amazon or Taobao and is similar in size to both. I haven't tried ordering directly but I think it may be possible now with sites like fromjapan.co.jp. FromJapan is "shipping proxy service" that allows you to buy from almost any Japanese website, especially those who don't offer an international service. For a fee they will order your goods and receive them from the Japanese business at their warehouse in Japan, before forwarding them on to you. They will also merge orders from different shops into the one package. From what I've seen this is not cheap, but it's not Western Union-level expensive. Michi Martial Arts is run by Melbourne woman Junko Nomura. Junko and her husband Russ can often been seen at Kenshikan or Fudoshin trainings as they are both keen kenshi. Junko runs her business as a sideline to her day job, and as a service for the Victorian Kendo community. She is unable to offer the massive discounts of the big online shops, but she is a handy resource for good-quality, Japanese-made products, especially shinai and bokuto. Other than Michi, the only other local supplier I would use is Tan's Martial Arts in North Melbourne. These guys are too expensive on the little kendo stuff they offer, but their shinai are OK in an emergency (as in, you have a competition in this week and all your shinai are broken). Andy Fisher, former captain of the British national team and resident of Japan, has been instrumental in kick-starting the world of online kendo equipment. Andy's energy and professionalism raised the bar for all online sellers. Starting out with Tozando's international brand "Miyako", Andy then left to work for All Japan Budogu or AJB. After building their international brand (and helping our local high school programs with amazing discounts on equipment), Andy moved on to set up Kendostar. Although Kendostar seems to be wholly Andy's baby, he does seem to have returned to retailing some of AJB's products. My impression of AJB is that they are a recent newcomer on the scene in Japan but have quickly become one of the biggest retailers in the Japanese domestic market. 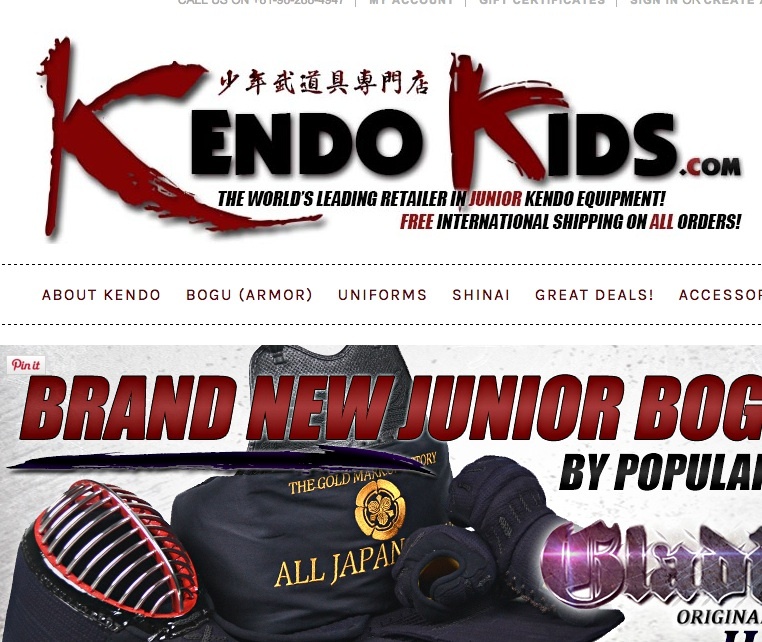 Kendo-kids is a niche site of AJB, set up to offer specifically children's Kendo equipment. I have purchased some of their bogu in the past and they do an excellent job of making small bogu both protective and flexible enough for small bodies to move in comfortably and easily. In terms of range of products, Tozando is by far the biggest. 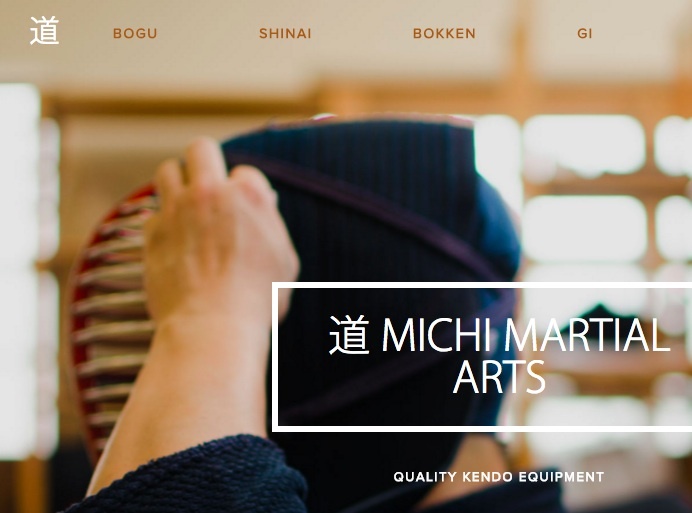 Based in Kyoto, they sell not just Kendo but also other budo equipment, and also cultural wares such as Shinto shrines and Buddhist statues. Like AJB and Kendostar, Tozando are smart enough to know they have to have staff who respond very quickly to enquiries and who are either fluent in English or native speakers. This is one of Andy Fisher's legacies: no more klunky grammar and typos on bogu sites! Unfortunately onlinekendo.com haven't kept up with this advancement. I would still say there is no point in buying from US or European sites like Eurokendo, Nine Circles, Mazkiya or e-bogu.com, even though these sites all have great functionality and a good range of products. The reason? Distance. There's no point in ordering from America when the products themselves are shipped from China or Japan to the US in the first place. It's just unnecessary carbon miles on everything you buy.And everything they sell is available from the recommended sites above.